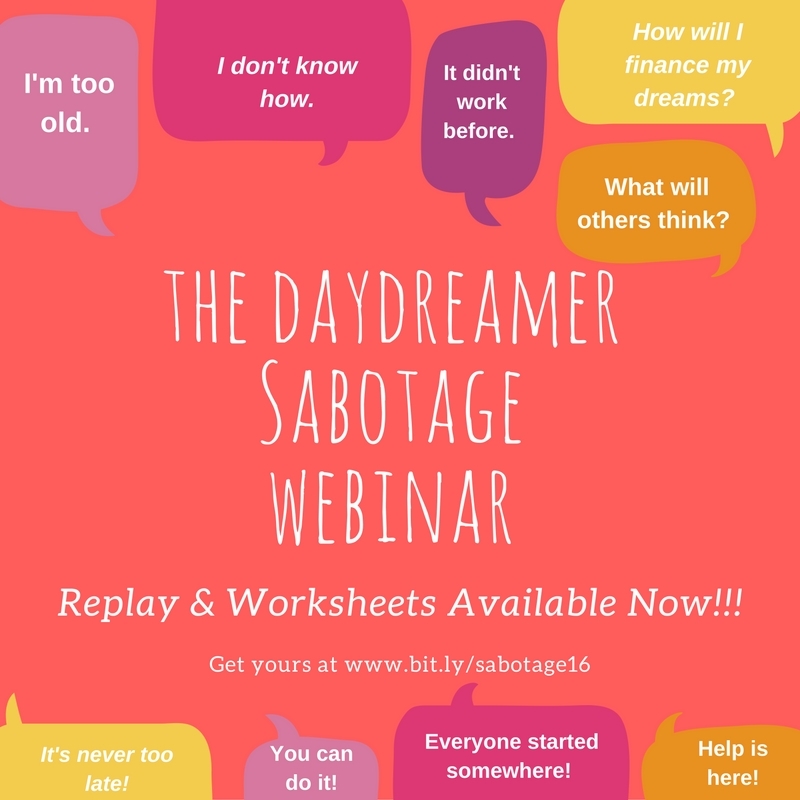 Daydreamer Sabotage Webinar - "VICTORIOUS LIVING IS A JOURNEY, LET'S GET THERE TOGETHER!" Did you miss the live Webinar on August 1, 2016? No worries, you can catch up with the Replay! You have 5 months left to win in 2016!